Atletico Madrid have got to chase the game at the Nou Camp and that may well play into Barcelona’s hands in the second leg of their Copa del Rey semi-final. Barca won 2-1 in Madrid last week to inch closer to a fourth successive Copa final. 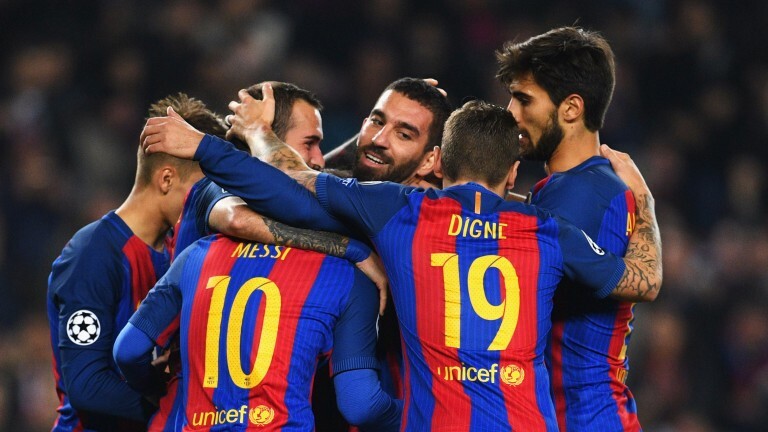 And so important is this tie to the Blaugrana that they even rested key players, among them Luis Suarez, on Saturday when they still managed to hammer Athletic Bilbao 3-0. Atletico are 5-1 to win but to do so they’ll have to adopt an unusual strategy. Diego Simeone’s men tend to play the patience game but at some point, with Barca having grabbed two at the Vicente Calderon, they are going to have to take a gamble. Fernando Torres, scorer of both goals in Saturday’s 2-0 win over Leganes, is pushing for a start alongside Antoine Griezmann. And with the players such as Yannick Carrasco and Kevin Gameiro to summon, Simeone has the tools to win any game. But Atleti had not won in four prior to their triumph over Leganes and this looks a tall order. To make life even harder for the visitors, Andres Iniesta and Sergio Busquets, the figures who make the Catalan giants tick, both missed the first leg through injury but are available after returning to training. Neymar is out but Suarez will return, nicely rested and on a run of seven goals in his last seven matches.